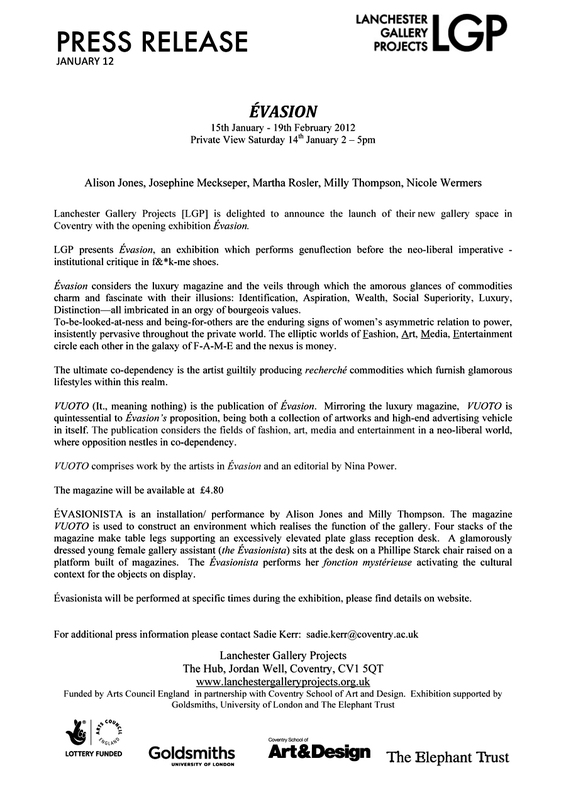 An exhibition with Alison Jones, Josephine Meckseper, Martha Rosler, Milly Thompson, Nicole Wermers. 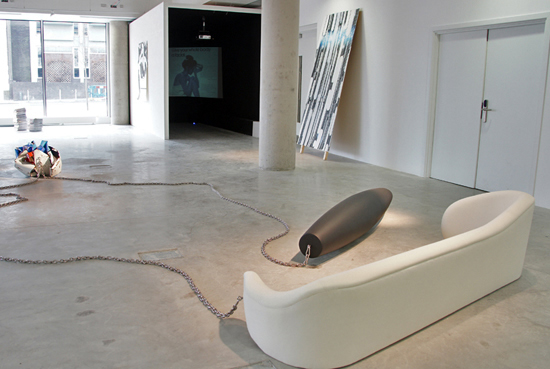 The group exhibition ÉVASION was co-designed with Alison Jones. 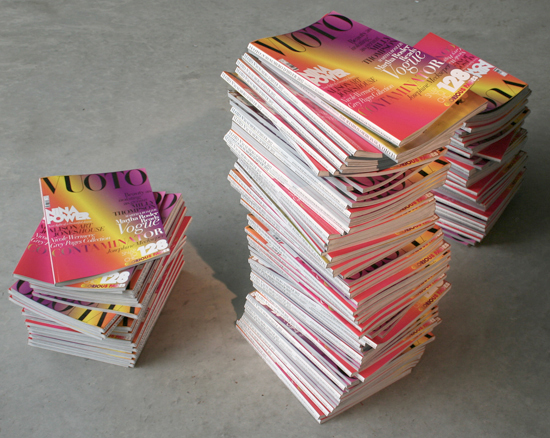 Also featured was Évasionista, a live sculpture and creation, by Jones and Thompson, and an artists’ publication VUOTO which included documentation and other related works by the artists, and an ‘editors letter’ by Nina Power. 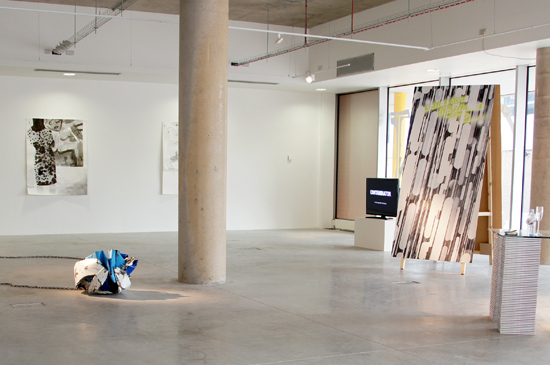 A Symposium with papers from Nicholas Cullinan, Mark Harris, Ian Hunt, Angela McRobbie and Monika Szewczyk was held during the exhibition; an invited panel of speakers addressed the ideas proposed in ÉVASION. 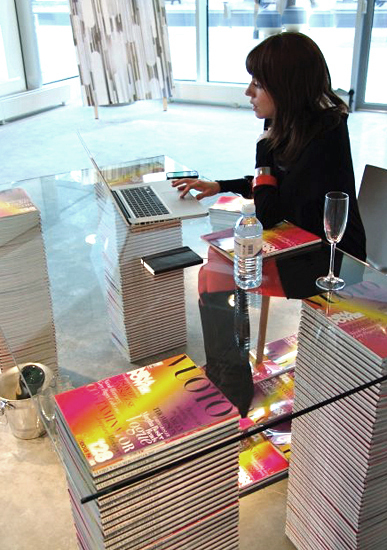 The papers are reproduced in C21st RECENT HISTORY, 2016, also co-designed by Alison Jones & Milly Thompson. 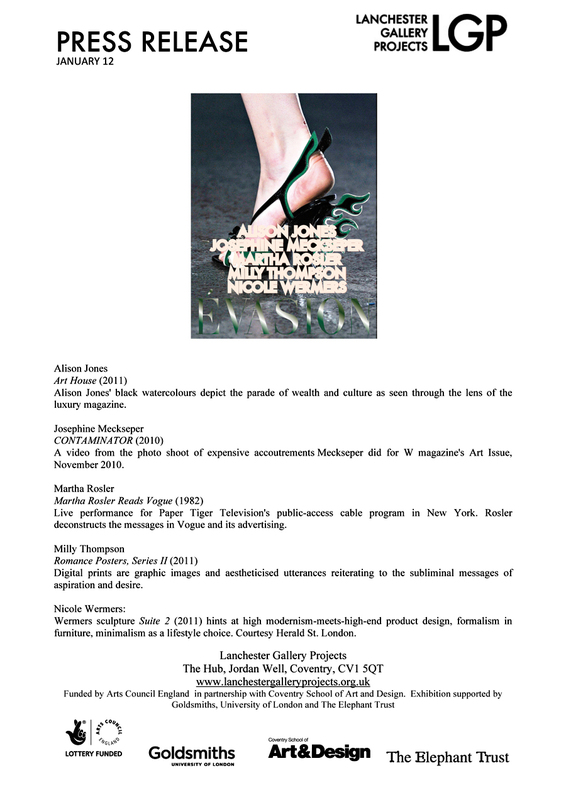 C21st RECENT HISTORY includes sections on all events from the project including the exhibition Martha Rosler reads Vogue, 2010, which featured Rosler’s film Martha Rosler reads Vogue, 1982. 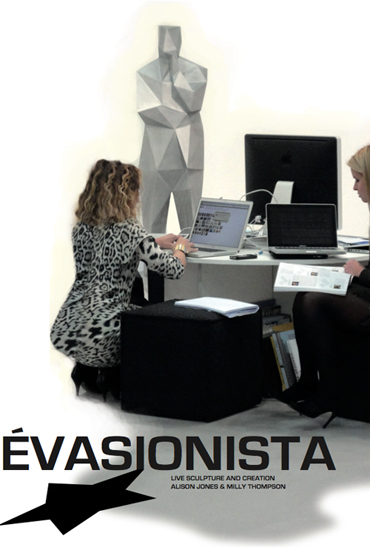 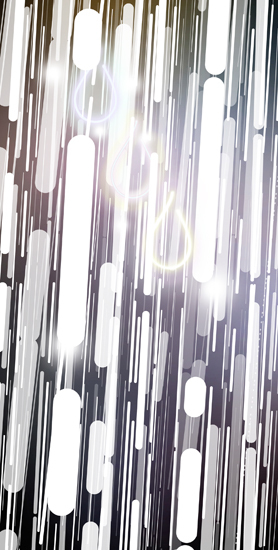 'Advertisement' for 'Évasionista', designed by Milly Thompson & Alison Jones for insertion into 'VUOTO'. 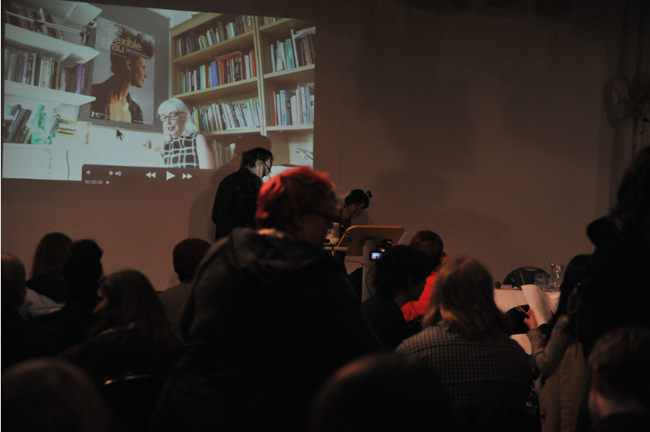 Angela McRobbie giving her paper over Skype during the 'Évasion Symposium', 18 February 2012, Herbert Art Gallery and Museum, Coventry.